Fife Flyers equipment manager Ian 'Horse' Kelly has left the club. The Kirkcaldy man, who moved from Braehead Clan in the summer of 2017, revealed his departure in a statement posted on Twitter last night. 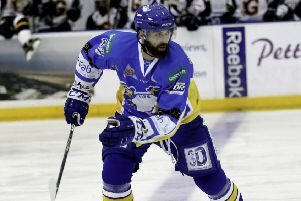 He stated: "Last week I made one of the toughest decision I have ever made, which was to leave Fife Flyers. "Everyone who knows me knows how much I love hockey and doing the equipment role, especially here at my home town club. "Sometimes we have to makes changes in life, which we feel is best for ourselves, family and others, this was one of those times. "I really would like to thank Fife flyers for bringing me on board and especially Tom Muir for allowing me to do that job the way I wanted to do it. "I have enjoyed my time at the club and wish them the very best for the rest of the season."